Underpinnings As To "Why You Shouldn’t Switch To iOS 9"
As the new operating system gets unveiled by Apple, the new iOS 9 is bound to garner a lot of attraction given the Apple’s wide consumer-base. 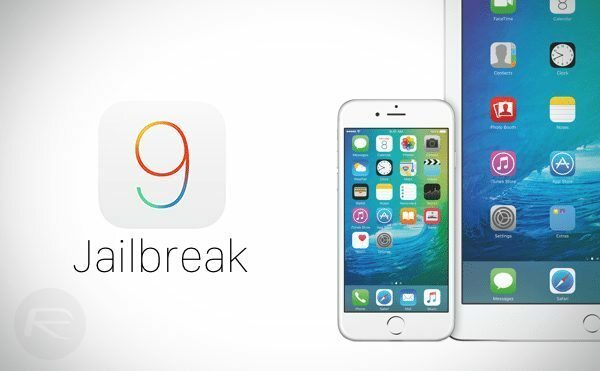 Many iPhone and iPad users are going to be provoked, rather tempted, to switch to iOS 9. After months of testing and resolving of various issues, the new iOS 9 exhibits very less probability of bringing to you, a failed update reasoning against updating to iOS 9. This time, we bring to you, five significant reasons to ponder upon as to why you probably shouldn’t update to iOS 9 right off the bat. Firstly, if you are into jail-breaking and have had enough experience with the same, you must probably have the technical know-how of where the current untethered jailbreak(the most preferred jailbreak because it doesn’t require being connected to the computer except for initial jail-breaking process) stands. To be specific, the current jailbreak stands at iOS 8.4. iFans who are heavily into jail-breaking would probably be disheartened knowing this, but that’s all the more reason you shouldn’t update to iOS 9, in order to keep jailbreaking! So sit back tight, refraining yourself from installing the new iOS 9. Provided if you are traveling and to worsen the situation, you have a weak or an expensive data connection, trying to update to iOS 9 in such a case can be irritating. If there are innumerable apple devices trying to update to iOS 9 on a single day, yours can get trapped while pinging the servers due to a weak connection. You don’t want to get trapped in the recovery mode while you are travelling. So don’t even think of updating over a weak and expensive data connection especially while travelling. Through an expensive alpha testing and the subsequent beta testing, the big guys at apple have ensured that you don’t encounter any obstacles as you upgrade to iOS 9. This definitely makes it more stable than the last year’s iOS update. But, there’s always some room for improvement which implies there would be issue with, say compatibility. One can say take this for a fact that the older devices are the most affected by the iOS problems. Thus, there are high chances that iOS 9 might affect the stability of these devices in a negative manner. By means of improved fluidity and robustness, Apple does it best to ensure that the older devices are well-covered within it’s reach of compatibility. Installing the first build of iOS 8 had caused a lot of issues on iPhone 4 and 4S. Such adverse effects might spoil your device which is why switching to iOS 9, isn’t worth taking the risk, if in case you own an older installment in the iPhone franchise. Once you upgrade your device to iOS 9, there’s no going back. So if your device is running an older version but you your experience is devoid of any issues, you must not risk switching to iOS 9. If Apple carries on signing off the 8.4.1 update, it will allow you you to return to 8.4.1 if the version 9 doesn’t work out. Till then, just sit back and wait!. In this article, we list down reasons as to why you mustn’t be too tempted with the new iOS 9. Stay tuned for more!